For over a month now, I've noticed media members covering the Mets will disturbingly criticize Lucas Duda for taking too many pitches. On April 24th, Gary Cohen, one of the Mets' TV announcers, went as far as to say "You don't want Lucas Duda to be walking as often as he is." Cohen's nonsensical remark was barely tweet-worthy. This post was prompted by some completely useless garbage that I heard while landing on Mike Francesa's radio show for about 30 seconds this afternoon. The Mets announcer, Gary Cohen just said "you don't want Lucas Duda to be walking as often as he is." And, he's a Mets fan. "A walk is as good as a hit" is heard on Little League fields across America. Sabermetrics has shown that's not entirely true, as a walk is 90-something% as good as a single and progressively worse than extra-base hits. In this case, it's true in a basic sense. Generally speaking, when a player is up to bat he can either (a) get a hit (b) make an out, or (c) take a walk. It's unreasonable to expect all baseball media members to immediately embrance advanced sabermetrics. These aren't exactly openminded Zen Buddhists, but we're also not talking about complicated concepts here. People complaining that Duda is too patient at the plate believe that he is passing up opportunities to hit for extra bases and/or knock in baserunners. There is value in recognizing the circumstances of each at bat because there are times when you need a sacrifice fly more than a walk. The problem is with people opining that Duda's patience is a constant flaw in his game. They want him to be more aggressive, period. The method of achieving offensive success in baseball is to avoid outs. Hitting for power accelarates scoring, which is key because avoiding outs is difficult. Avoiding outs is paramount. This afternoon on the radio, well-known nincompoop Mike Francesa went on a worhtless rant that boiled down to "Duda is a .200 hitter. He's not a .300 hitter like Murphy. You don't want Murphy up in that situation. Murphy is a .300 hitter. Duda's not a .300 hitter." This line of thinking is more than worthless. It's harmful. There are impressionable fans listening who don't know that the guy on TV or on the radio is spewing garbage. We don't need to raise more Mets fans who think a guy can actually walk too much. For illustrative purposes, below are the ten (10) Mets players who have recorded the most outs this season. In it, we can find sabermetric arguments for Duda. Mike Francesa doesn't ever need to mention On-Base Percentage, but shouldn't he know Lucas Duda is good at getting on base? Simply put, David Wright is the best hitter and Lucas Duda is the second best hitter on the Mets. 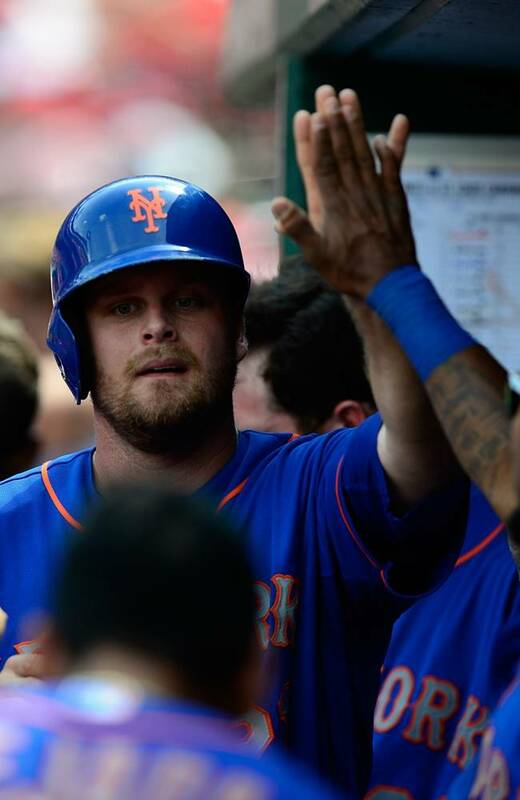 This season, Lucas Duda is 2nd on the Mets in Home Runs, OBP, SLG, OPS and OPS+. People, give him a break.